2019 Sydney Conference Superstar, Susanne Gervay described it as a BUZZ. 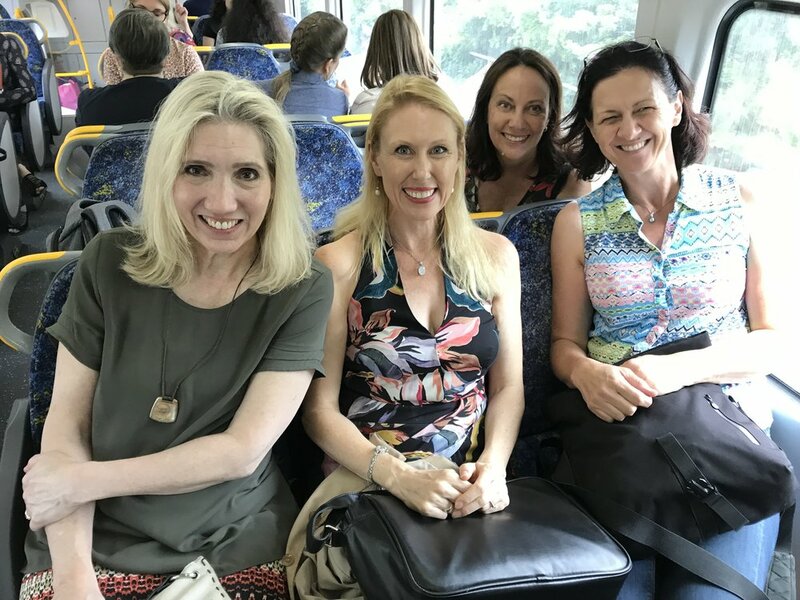 Sydney Trains might remember it as something more chaotic but one thing is for certain, cram a bunch of excited children’s authors, illustrators, and publishers on a train bound for Beecroft and you’ve got a recipe for LOUD! A speed launch of their latest work of art, aka children’s book. The variety and scope of topics was incredible, illustrating to the crowd of 120 just how diverse and awesome picture books and junior novels really are. The hilarious, moving and insightful presentations were delivered with humility and humor and from a personal point of view, were a tremendous way of sharing the love of story with so many in such a brief but brilliant time. I found this experience immensely fulfilling, and enjoyed every second of it. What a privilege to be in the same room with so much talent. Here are some of the highlights from the raucous trip in; the presenters; and the crowd! We could have stayed in that bookshop all afternoon but of course, there was a Conference to attend. Come back soon for the next exciting installment of Sydney 2019! Images courtesy of RRer, Maria Parenti-Baldey and various kid lit sharers. It takes great skill and patience to herd cats as they say, perhaps even more so to coordinate large groups of hitherto over-zealous creatives. It is a task no single person should attempt alone. Fortunately for our SCBWI Conference organisers, there is a woman in their midst who is up for the job, Margaret Roc. Who is Margaret Roc? Author, co-author and editor of over fifty published fiction and non-fiction books for children and teachers, Margaret Roc is a forced to be reckoned with. Yet her demure manner and ever-smiling face belie not only her writing prowess but also her supreme ability to organise and coordinate, qualities required in galleon proportions when facilitating a conference as involved as the SCBWI Biennial Sydney Conference. As a teacher and Teacher Librarian I especially enjoyed inspiring children in reading and imparting the love of books. I began writing when my own children were born I have continued writing in my spare time ever since. Now I’m an author, co-author and editor of more than 50 books for children and teachers including picture books, early readers and non-fiction books. Most of my picture books are light-hearted and amusing but deal with important themes like loneliness, friendship, family and belonging. I love writing about animals and many of my non-fiction books are about animals and the environment. 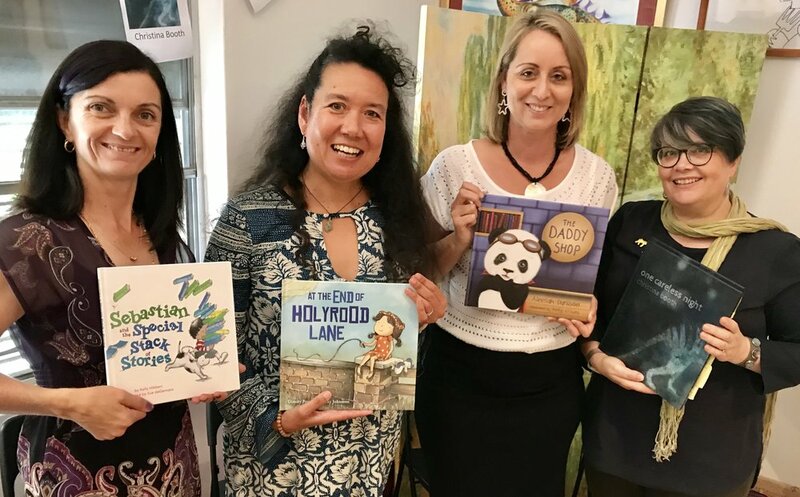 My latest books Jellybean Goes to School (PenguinRandomHouse), Australia's Critically Endangered Animals and Australia's Deadly and Dangerous Animals and Plants (Heinemann) are on the NSW Premier’s Reading Challenge. On behalf of all the Conference delegates this year and past, thank you Margaret! The SCBWI Sydney Conference 2016 aims to enrich and unite creators and industry professionals in meaningful and productive ways. One such vehicle for eliciting exciting opportunities is the ever-popular Illustrator Showcase. This event aims to display the talent of SCBWI illustrators in situ so that a veritable army of publishers, designers, and editors are exposed to it often resulting in contracts for work. This year, one of our own SCBWI success stories, Aura Parker was solicited to provide the 2016 Conference Showcase logo banner. Here is her delectable design. If you are attending the Conference this year, keep a look out for her. If not, why not brew a cup of tea and get to know her better, now. Aura Parker is a Sydney based author, illustrator and designer who makes prints, textiles and children’s picture books. Her work is joyful, imaginative, and brimming with details to explore. Aura also designs and exhibits screen prints and handcrafted textiles at Studio Bonnie. She has a background in graphic design and a passion for children's literature. Aura’s books Twig and My Magnificent Jelly Bean Tree will be out in 2016. Are you attending the Sydney Conference in September? Is this your first SCWBI Conference? If not how many have you attended, where? Yes, this will be my second Sydney SCBWI conference. What is the most memorable conference experience you’ve had to date, or hope to have? 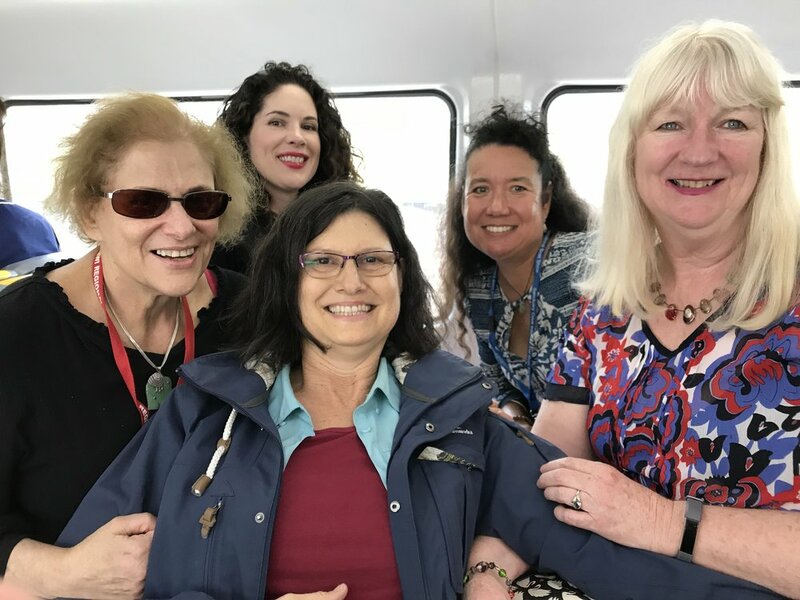 At a SCBWI Conference, you'll find all the book nerds who never grew up hanging out together in one place - and what a lovely bunch they are! The thing I enjoyed most was the conversations. I met writers and illustrators who have since become friends, which is great because most of my work is solitary and it's inspiring to be connected to other creative people and hear what they are up to. You were chosen as the illustrator for this year’s Illustrators’ Showcase. Please describe the theme. What are you hoping to convey? The theme is 'tea and talent’. I was trying to portray a sense of fun at an under-the-sea tea party. I imagined these little characters as children being playful and creative. Why do you think it’s important to include Portfolio Showcases in Conferences like this one? The Showcase is an excellent way to have your work seen by publishers and art directors and especially useful for new people trying to break into the industry. As an author/illustrator of picture books that kids will come back to, spend time with and pore over the details. Aura, from one book nerd who is still struggling to grow up to another, I couldn’t have written it better! Thank you. View Aura’s beautiful tea and talent inspired illustrations, here. Don’t forget to visit again as we introduce you to even more of our terrific Roving Reporters team. Till then, Rove ya later!